This is image media manager script. It is built with Codeigniter 3 and Bootstrap 3. This script helps the developer to manage uploading file. With the help of this script you can add all images at one place and use the image any in your any kind of form. This is similar to WordPress media Uploader. 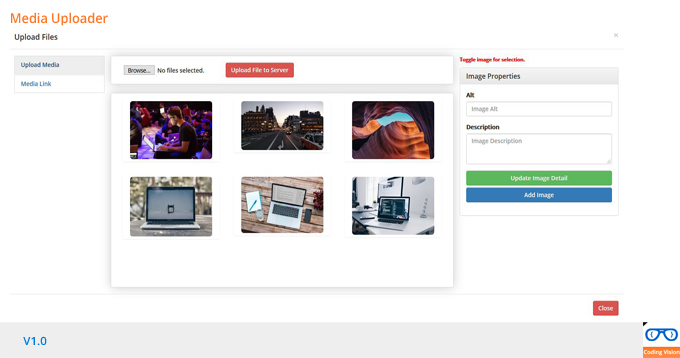 This script helps you to add multiple images into your form. You can set the maximum selection of the images. When you upload the image it will show the progress bar of uploading.